Every nation, every religion celebrates New Year. Some cultures have their own unique way of celebration, but a common thing everyone has is the joy of welcoming a new beginning and a fresh start. 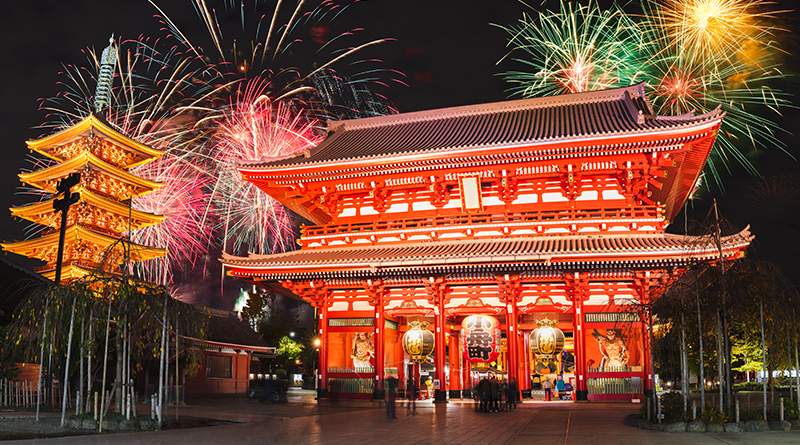 Lets open the door to a more wonderful future in 2019 and say goodbye to the passing year at these amazing locations and be a part of the most memorable festivities around Asia. More importantly, please plan your New Year party and celebration ahead because some places may charge an entry fee or have limited number of tickets. Just as the six-day holiday for Lunar New Year in Taiwan has come to a close, Taiwanese netizens are already got excited about the approaching New Year. Taipei is one of the most popular cities to enjoy a stylish New Year celebration. Concerts by local and international artists, as well as fun events are arranged to entertain the crowd all through the night. 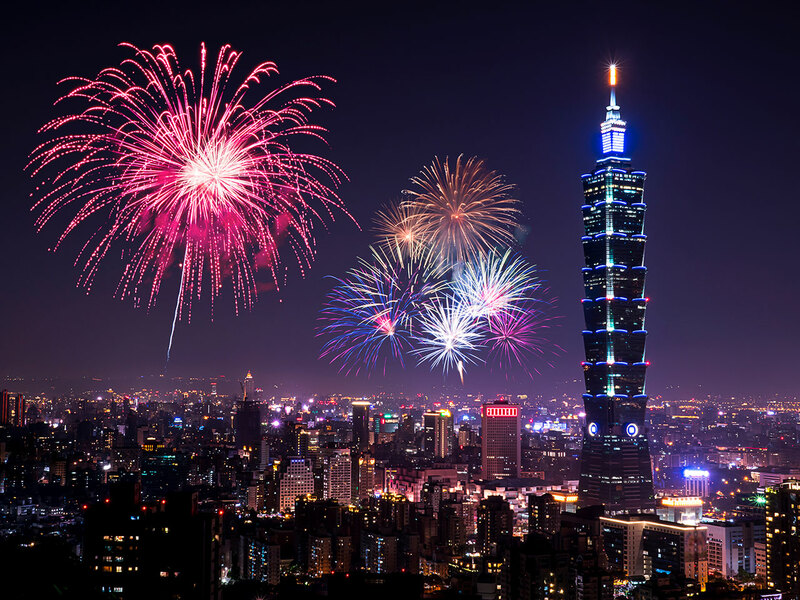 For the most immersive experience, don’t miss the special New Year’s Eve fireworks at the iconic Taipei 101 building. 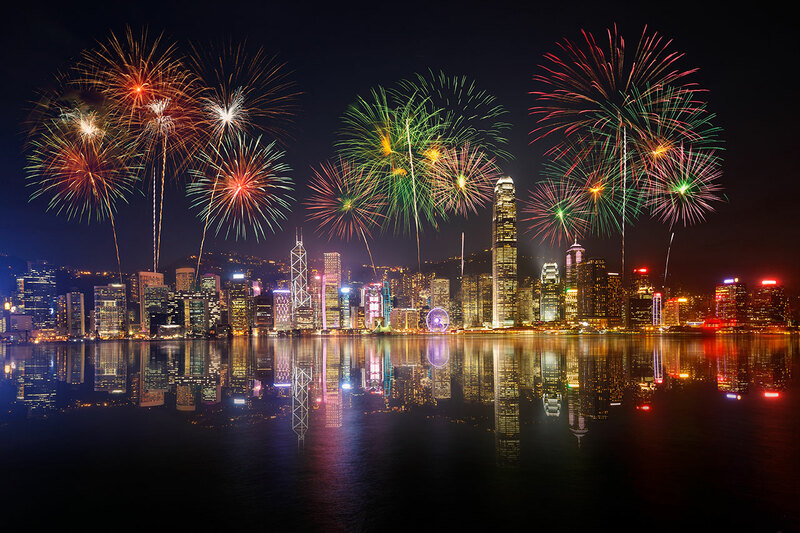 The Xinyi Commercial District is the obvious choice for many wanting a glimpse of the famous Taipei fireworks. 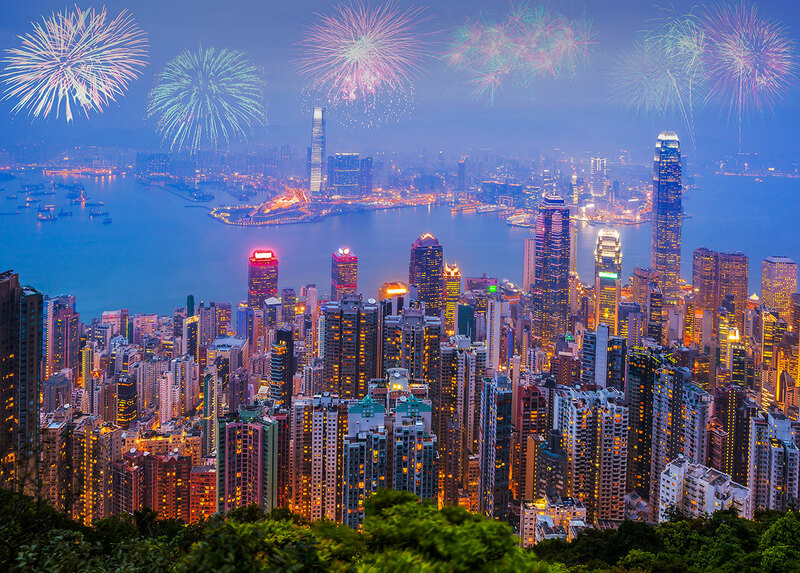 Vibrant New Year celebration is hosted at Victoria Harbour every year and it gets better and more colourful year by year. The crowds gather on traditional junk boats and the shoreline to watch the city’s dazzling fireworks performance, which illuminates every skyscraper with a lively glow. For unobstructed views, watch the show from the highest bar in the world, Ozone, located on the 118th floor of The Ritz-Carlton, Hong Kong, but be sure to book an accommodation well in advance. 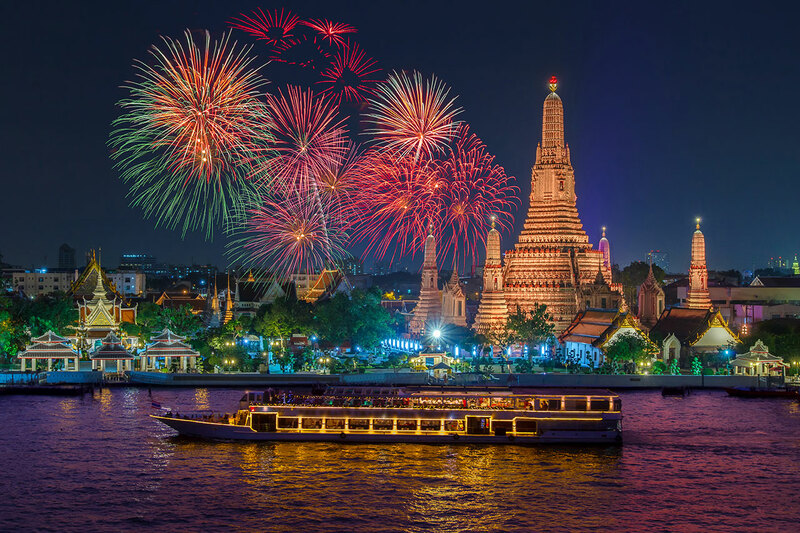 As the leading tourist destination, Bangkok has a variety of ways to celebrate the New Year. One of the best choices is definitely a rooftop bar, from which you can see the city explodes in joy and fireworks as the countdown reaches zero. Without a doubt, VIE Hotel Bangkok, MGallery by Sofitel’s rooftop VIE Pool is the place to experience this lively New Year atmosphere as it’s just steps from BTS Station and has spectacular panoramas Bangkok skyline and Chaophraya River. Watch the city glows bright with fireworks and the buildings dance from the sparkling reflection. Another popular spot to celebrate New Year is at beer squares around Central World where the crowds gather to enjoy live concerts and count down together as the bright new year approaches. New year is celebrated around the world more than any other holiday, but it does not mean we all celebrate it in the same way. If spiritual ceremony, tranquility, and simplicity are your style of celebration, you would love the enchantment of Palace Hotel Tokyo. 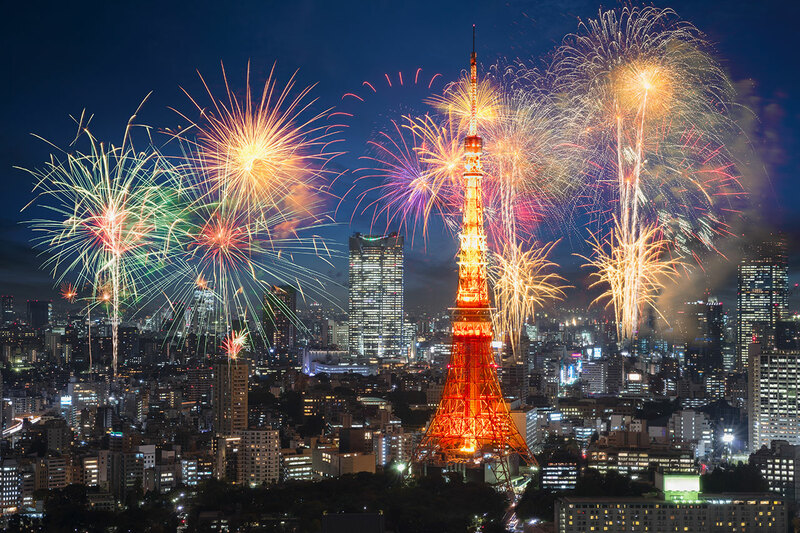 The hotel presents a suite of activities to mark one of the country’s most symbolic and sentimental holidays over its traditional three days of celebrations, or “Oshogatsu”. Partake in local culinary customs or enjoy a host of traditional and modern musical performances. The hotel is setting the stage for a memorable start to the year from its enviable location on the edge of the city’s much-loved Imperial Palace gardens. Everyone knows the biggest New Year’s Eve celebration in Singapore takes place in the Marina Bay area. Locals and tourists from across the globe make their way to the bay to use the little time left of the year to the fullest. 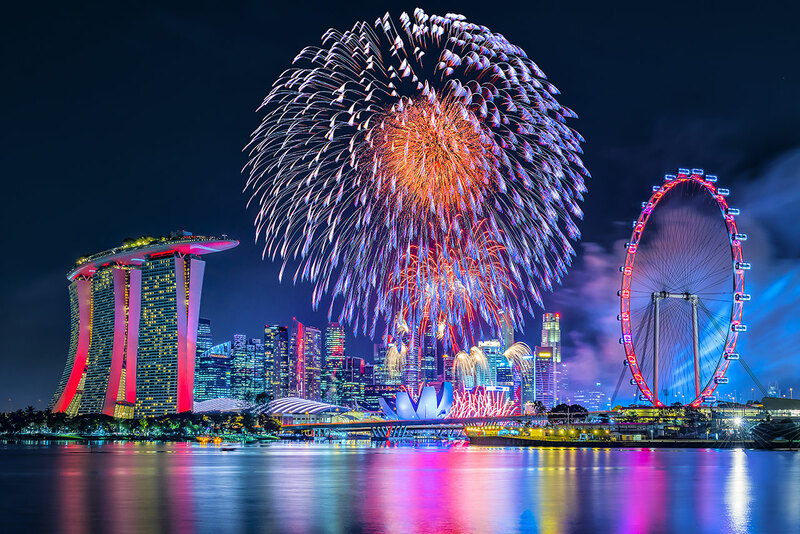 If you are lucky enough to book a room at Marina Bay Sands, it will probably be the best New Year celebration of your life as the hotel is one of the most popular New Year Eve party destinations in the world. Witness stunning Singapore skyline lighted up in colourful fireworks and enjoy the energetic party and live music as you count down to welcome the new year.